Precision issues. Use one of the following instead. Not the answer you're looking for? 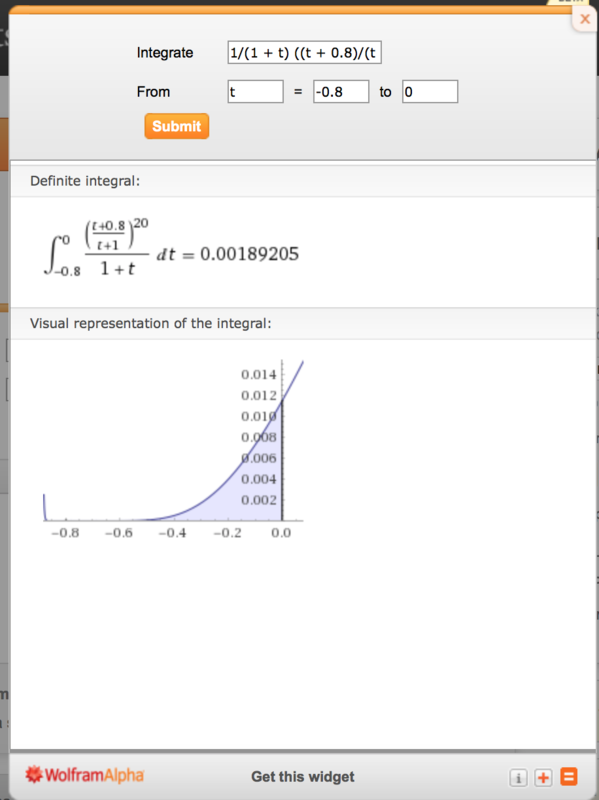 Browse other questions tagged calculus-and-analysis wolfram-alpha-queries or ask your own question. Why Can't Mathematica Integrate this? Definite integration but no indefinite integration?